Gateway at College Station is a 292-unit Class A student housing community serving Texas A&M University in College Station, Texas. 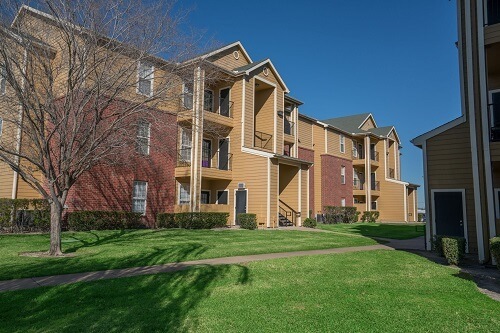 The property is located on Holleman Drive West, only half a mile from campus, and is in close proximity to numerous entertainment, commercial, and employment centers. Texas A&M University is the fourth largest tier 1 school in the country with over 58,500 students attending the main campus and approximately 10,000 more attending satellite locations. Gateway at College Station was developed in 1998 as purpose-built student housing. The property consists of 292 units and 960 beds ranging from 573 square foot one bedrooms to 1280 square feet four bedroom two bath suites. Amenities include a clubhouse, 2 resort-style swimming pools, basketball court, sand volleyball court, poolside grill, 24-hour business center, 24-hour fitness facility, tanning booth, bike racks, and 24-hour game/TV room. Each floor plan is fully furnished with private baths, built-in desks, full kitchen, and washer/dryer. An extensive property enhancement program will begin immediately after acquisition and will focus on upgrades and expansion of the community amenity package and numerous interior unit enhancements.